Distribution centre managers know the challenges of managing a temporary or part-time workforce. Some of those challenges are unique to this “not-full-time” subset of employees. Temporary workers face similar pressures. 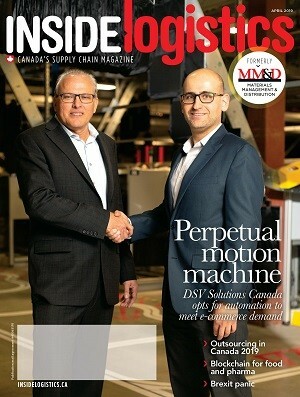 There aren’t any cure-alls for such challenges, but seasoned distribution centre managers have developed best practices and adopted solutions that can alleviate their effects. “There’s a lot of work done up front to plan as much as possible,” says Douglas Harrison, president and CEO of VersaCold Logistics Services. He tries to understand both customer demands and VersaCold’s inner workings to develop distribution centre game plans. 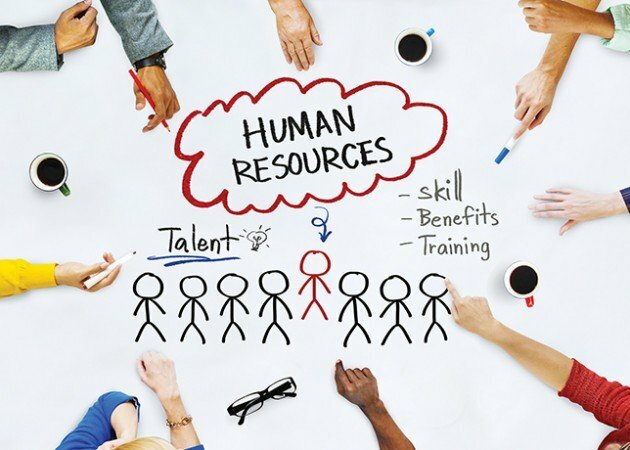 For instance, the internal HR group looks closely at operations to determine variables like seasonal demand and temporary/contractual labour requirements. The company has also been investing heavily in computer systems to help with planning. “Without those investments, we’d be much more reactionary,” Harrison adds. Many, but not all. “Every day you deal with surprises,” he admits. Ian Mackenzie most recently headed logistics and distribution for clothing company Kit and Ace. The professional logistician previously honed his skills as director of logistics for Best Buy Canada, where he faced the double challenges of leasing extra warehouse space and hiring seasonal staff to handle expected Christmas, holiday and Boxing Day sales volumes. Mackenzie looks for such engagement when he visits distribution centres. Managers usually prepare a tour for him, but he likes to go “off-tour” to take a facility’s “temperature”. Mackenzie advises treating all staff as equally as possible. All staff attend floor meetings and team meetings. All staff participate in special events. Management would serve pancake breakfasts to all staff. If products were given away (for instance, a vendor wrote off backpacks), all staff got these. “We didn’t want to neglect people because they were only there for 90 days,” Mackenzie says. “We set up long-term relationships with approved agencies across Canada,” Harrison says, where VersaCold may request workers once a week or several times a year. Tracy Clayson, managing partner of In Transit Personnel Inc, says getting employees job-ready takes knowledge of a client’s needs, plus time. By the time clients see employees, they have been recruited, screened, interviewed, had background checks, and undergone other processes that the client doesn’t need to undertake. For their part, VersaCold audits agencies, checks their workers’ compensation compliance, their training requirements. “We take a look at the quality of their labour,” Harrison says. “We look at their processes, their recruiting methods.” In turn, he expects agencies to understand VersaCold’s expectations. “It’s a partnership, a marriage of sorts,” Clayson concurs. But if companies use part-time and temporary workers on a “knee-jerk” basis, quality control is absent and companies don’t measure the practices of the staffing company, “then you’re taking risks,” Clayson says. To train new staff, some facilities use mentors, having new workers shadow seasoned workers during a workday. Mentorship can work, but without consistent training, companies can get varying results from new hires. “You need to ensure a person you hire in January gets the exact same training as somebody you hire in June,” Parry says. Job-sharing means switching people to different jobs week to week to relieve the tedium of continuously doing one task. One week they might pick, the next they could pack, and the following week they can load products onto trucks. Mackenzie notes many workers want to job-share. In some cases, they shifted tasks daily. The centre became more productive since people could switch from places that weren’t busy to places that were. “We actually hired fewer people as the workforce got more dynamic,” he recalls. “At Best Buy, you couldn’t bring your cell phone in to work,” Mackenzie recalls. He understood this policy, but he still questioned it as he watched new employees receive at least half a day’s training on handsets, RF readers and other specialized equipment. Certain entrepreneurs are striving to take automation to distribution centres, where robots haven’t traditionally thrived. They claim collaborative automation helps: facilities onboard temporary workers faster; keep staff engaged; and improve throughput of all workers. Parry also notes more mundane objections to the use of robots in distribution centres. “It took a long time to program a traditional industrial robot to do one thing over and over again,” admits Eric Foellmer, manager of product marketing and marketing communications at Rethink Robotics. He ranks vision, mobility and the ability to handle variation as the top three criteria on customer wish lists when they check out Baxter, a robot built by Rethink Robotics. Shipping since 2013, the stationary Baxter roughly resembles the torso, arms and head (a video screen) of a person. Baxter can handle repetitive tasks like loading raw materials onto a line or packaging finished products for shipping. Configuration of a robot can cost about as much as the machine itself, thanks to the specialized skills involved. But makers of new generation robots insist non-technical staff can program their products. “The same person who is responsible for packing boxes or loading lines or filling orders is the same person who can train this robot,” says Foellmer. Simon Drexler, director of indoor industrial systems at Clearpath Robotics Inc, makes the same claim for the autonomous OTTO. Introduced at the 2015 RoboBusiness conference this Fall, OTTO is a one-foot-tall platform that holds one pallet. Behind its smooth sides, an electric motor turns the middle pair of OTTO’s six wheels. Whenever its human counterparts take a lunch or coffee break, “the vehicle has a spare moment so it goes to an auto-charge stand to recharge its batteries,” Drexler says. OTTO “learns” the layout of a distribution centre when a worker takes it for a tour of the centre. OTTO maps the layout as it travels, then transmits that layout to other OTTOs in the distribution centre’s fleet. Few robots can handle sudden changes in their work environments the way people can, so distribution centres want robots that can quickly adapt to changing conditions. Rethink Robotics ships special decals it calls landmarks that workers can stick onto Baxter’s workstation. Baxter uses these landmarks to get its bearings. Should the workstation be moved, Baxter uses the landmarks to reorient itself to elements of its workstation without the need for reprogramming. Once a distribution centre gets rearranged in any way, taking one OTTO for a tour is all it takes to reorient it (as well as other OTTOs in the centre’s fleet). Software can interpret tasks from the company’s workforce management system and assign those tasks to OTTOs, sending them where they need to work with staff. Both Foellmer and Drexler state that it’s safe for collaborative robots to work next to people. OTTO’s sensors look 35 metres in front of it for obstacles and changes in the environment. Baxter works at slow, human speeds and is only capable of a light (five-pound) payload. “If it does make contact with a person next to it, it won’t injure the person,” Foellmer says. Robots like Baxter and OTTO sport various features that help them work with people. “If you’re doing something like mixed-case pallet picking, OTTO can lead the worker to the location of the products to be picked,” Drexler says. Baxter shows a “face” on its screen. This face shows eye expressions and head movements to indicate where the robot will go next. As current workers leave distribution centres, they won’t be replaced by robots or other technologies, but by other human beings. Those people are increasingly likely to be millennials. Millennials are one reason certain experts believe warehouse jobs must become less labour-intensive and more technologically driven. “(Younger workers) probably think it would be cool to be involved in robotics,” Clayson muses.